ILC250 Higgs factory: ready for launch! The ILC with a collision energy of 250 GeV in its initial stage will be a proper Higgs factory, producing half a million nearly background-free Higgs particles over the course of a decade for true model-independent Higgs studies, as well as other SM tests and searches for other, new particles. 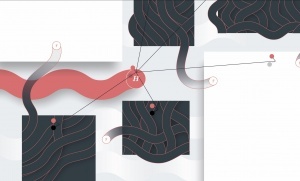 "Bring them on," says Jim Brau, Associate Director for Physics and Detectors in the Linear Collider Collaboration. "We are ready." The year 2018 will indeed be a milestone year for both the International Linear Collider ILC and the Circular Electron Positron Collider in China, two complementary Higgs factories. Gao Jie, linear collider researcher and chair of the Asia Linear Collider Steering Committee proposes a historical recall of the two projects. Mark Thomson, professor for Experimental Particle physics at the University of Cambridge, will lead the UK's Science and Technology Facilities Council STFC from 1 April 2018. Thomson is an expert for particle flow calorimetry and detector development for future colliders like ILC and CLIC and is currently co-spokesperson for the DUNE collaboration. 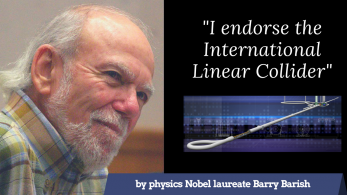 “We have our hands around the mechanism that creates mass in nature but we need the tools to study it.” Barry Barish adds his voice to the #mylinearcollider video campaign, endorses the ILC "in the strongest way." Barish led the Global Design Effort for the ILC before he returned to LIGO and was awarded the Nobel Prize for the detection of gravitational waves. We want people around the world to know how all of Iwate is working to bring about the ILC, so the ILC Relay is all about interviewing various people in Iwate who support the ILC project. For this ILC relay, I interviewed Daigo Fujinami of Oshu International Relations Association. 「国際リニアコライダー（ＩＬＣ）」の活用法を話し合う国際会議が２０、２１日、岩手県一関市であった。ＩＬＣで電子と陽電子の衝突実験を測定する際に必要な国際大型測定器（ＩＬＤ＝インターナショナル・ラージ・ディテクター）の開発技術や整備について意見を交わした。On 20 and 21 February, International meeting for the ILC was held at Ichinoseki, Iwate Prefecture. Participants discussed about R&D on the particle detector, ILD. (Full translation provided by Iwate & the ILC website. Read Japanese original here). February 20th kicked off a three-day international conference for the ILD (the detector to be used in the ILC particle collider) in Ichinoseki. Here, in the candidate site for the ILC, participants will talk through technical challenges as they prepare to realize the project. Around 70 researchers from around the world will come to the area to debate how to improve detector performance and decrease costs.